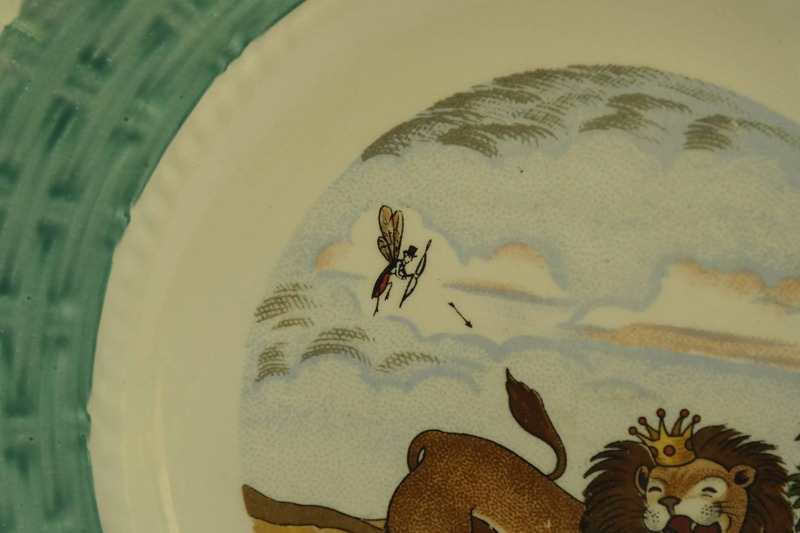 A delightful La Fontaine Fables wall plate dating to the 1930s. 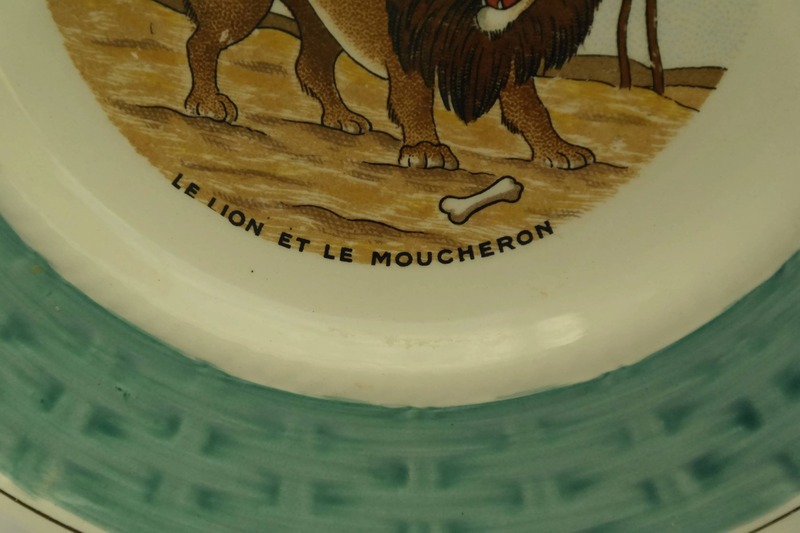 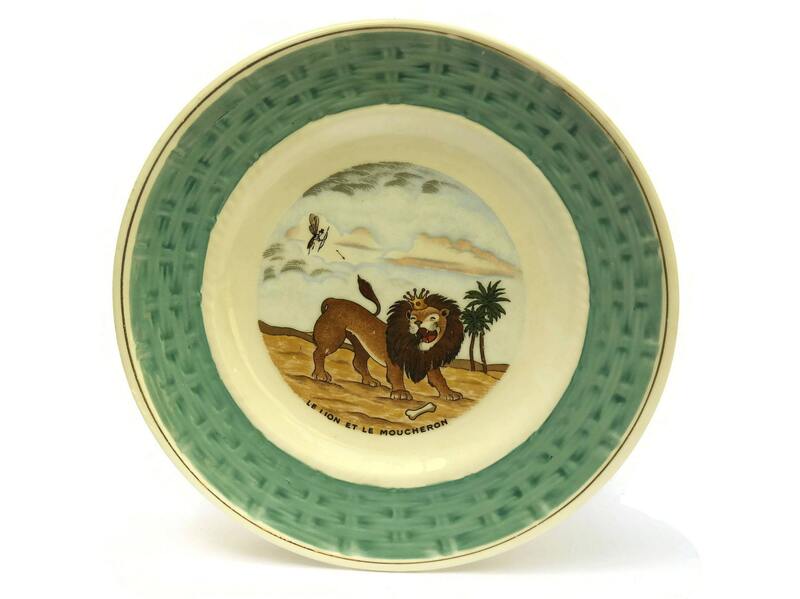 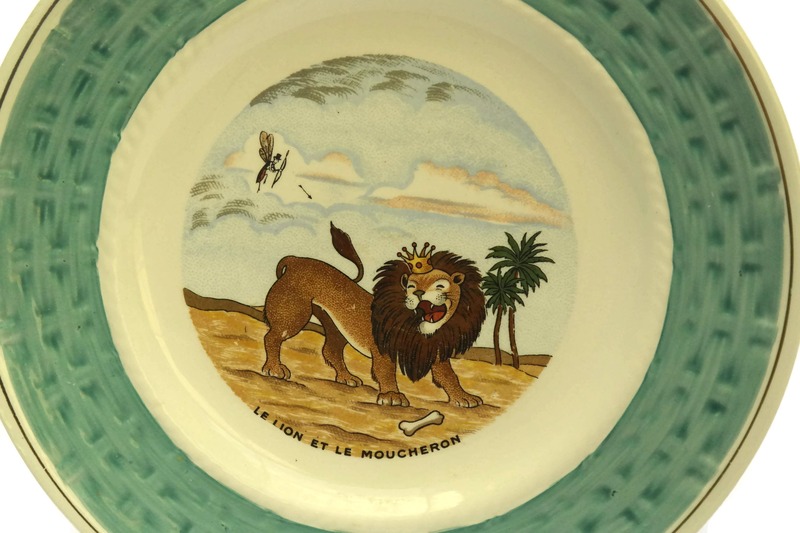 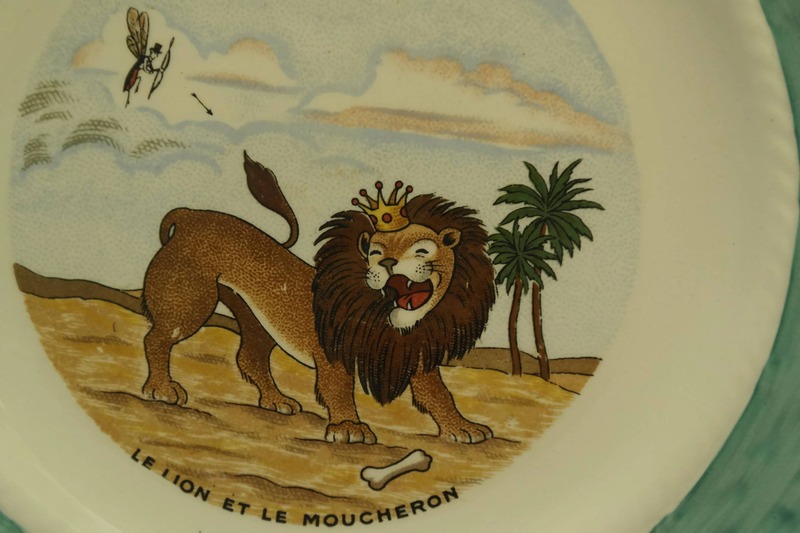 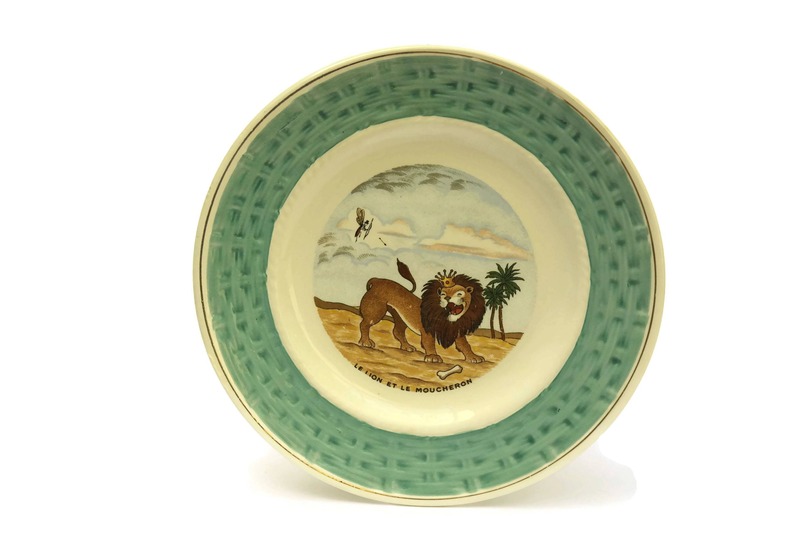 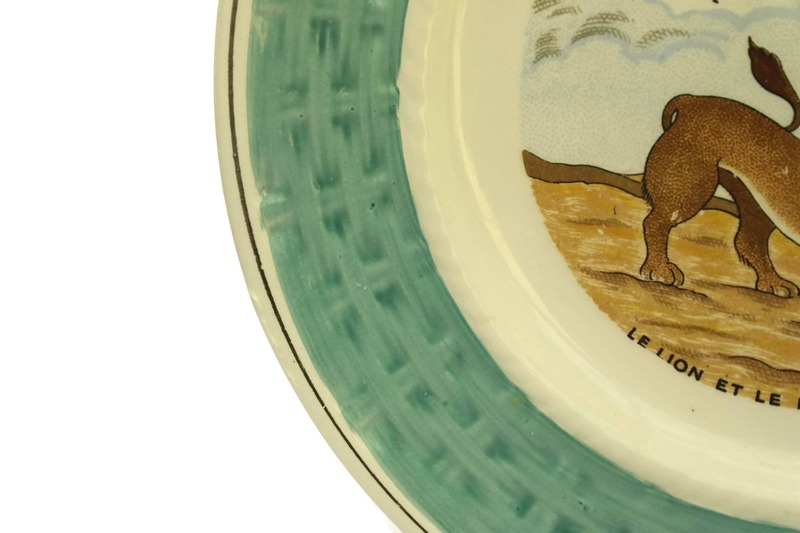 The vintage French ceramic plate has been decorated with a scene from the fable The Lion and the Fly by the famous French writer Jean De La Fontaine. 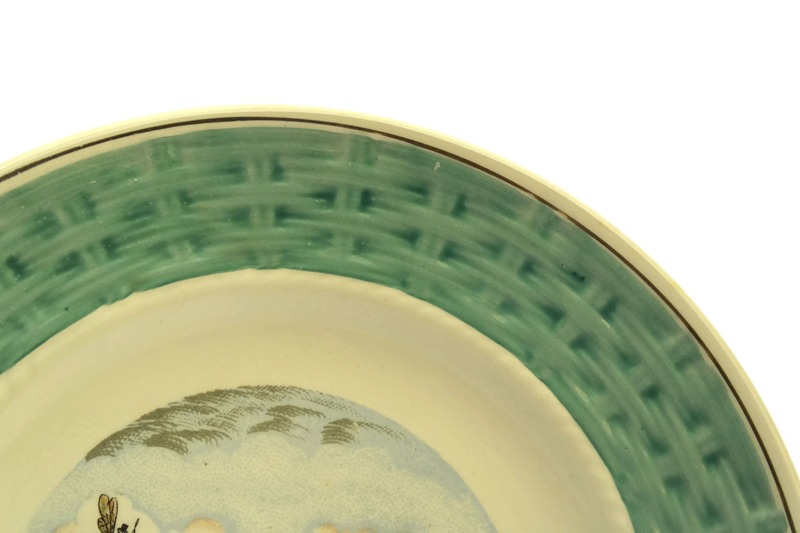 The colorful transferware plate has a stylish turquoise basket weave border with a thin gold accent on the rim. 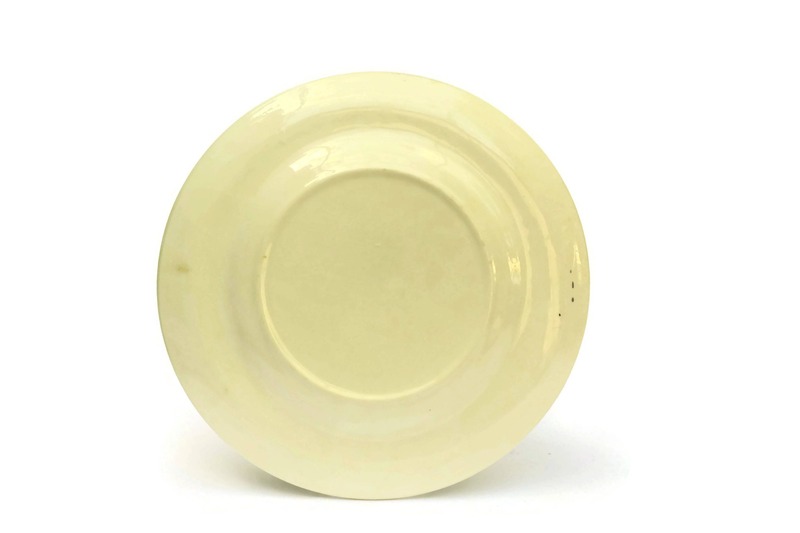 The wall plate is in very good condition with no chips or cracks.